Dwyane Tyrone Wade Jr. is an American former professional basketball player for the Miami Heat of the National Basketball Association (NBA). After a successful college basketball career with the Marquette Golden Eagles, Wade was drafted fifth overall in the 2003 NBA draft by Miami. In his third season, Wade led the Heat to their first NBA Championship in franchise history and was named the 2006 NBA Finals MVP. At the 2008 Summer Olympics, Wade led the United States men's basketball team, commonly known as the "Redeem Team", in scoring, and helped them capture the gold medal. 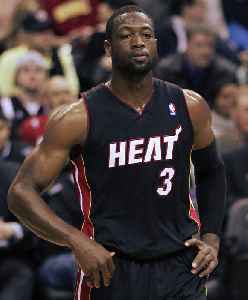 In the 2008–09 season, Wade led the league in scoring and earned his first NBA scoring title. 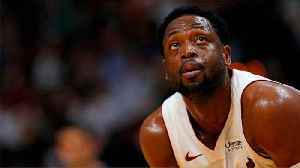 With LeBron James and Chris Bosh, Wade helped guide Miami to four consecutive NBA Finals from 2011 to 2014, winning back-to-back championships in 2012 and 2013. 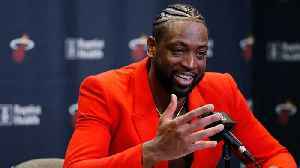 After 1​1⁄2 seasons away from the Heat with the Chicago Bulls and Cleveland Cavaliers, Wade was traded back to Miami in February 2018. A 13-time NBA All-Star, Wade is Miami's all-time leader in points, games, assists and steals, shots made and shots taken. Dwyane Wade went out in style with a triple-double in his final career game in front of some of his best friends. What is Dwyane Wade's Lasting Legacy? As Dwyane Wade's career comes to a close, how will the three-time NBA champion be remembered? The Crossover's Rohan Nadkarni shares his thoughts on the Heat guard's legacy. 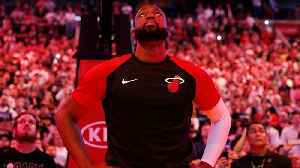 Dwyane Wade played his final home game in Miami for the Heat on Tuesday night. 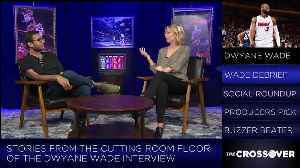 Rohan Nadkarni relives his interview with Dwyane Wade an discusses the tidbits that didn't make the cover story or "The Big Interview" on SI TV. 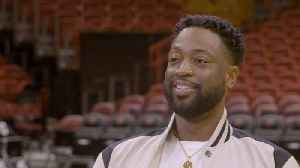 For more Crossover Tv and the full interview subscribe..
As his final NBA season draws to a close, Dwyane Wade reflects on his legendary career, winning three titles, and how Miami's super team was assembled in the summer of 2010. Is It Time People Show Paul Pierce More Respect? 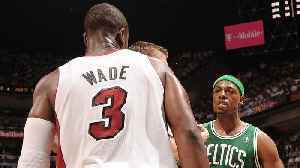 On Friday, Paul Pierce was on ESPN and said he believes he had a better career than Dwyane Wade. SI Now's Robin Lundberg and Ryan Asselta weigh in on Pierce's comments and if they have any merit. Dwayne Wade is retiring from the NBA and played his final Madison Square Garden game. According to Deadspin, during the game Wade got 16 points, seven rebounds, a block and a steal. 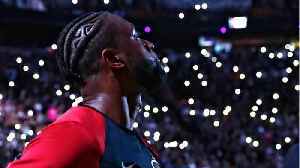 Miami Heat won..
Miami Heat legend and future Hall of Famer Dwyane Wade reflects on his career before he plays his final game on Wednesday night. 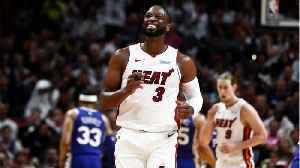 The Miami Heat were eliminated from playoff contention Tuesday, making their win over the 76ers the last home game of Dwyane Wade's incredible career. 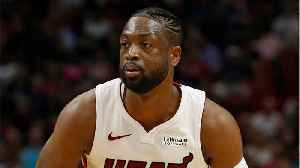 The career of Dwyane Wade was celebrated in the Miami Heat's last regular-season home game, including by former President Barack Obama. From Marquette to his final days with the Miami Heat and everything in between, a look at future Hall of Famer Dwyane Wade through the years. 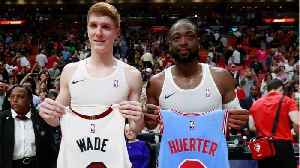 Budweiser decided to illustrate the impact Dwyane Wade made off the court with a series of non-traditional jersey exchanges with lives he's impacted.